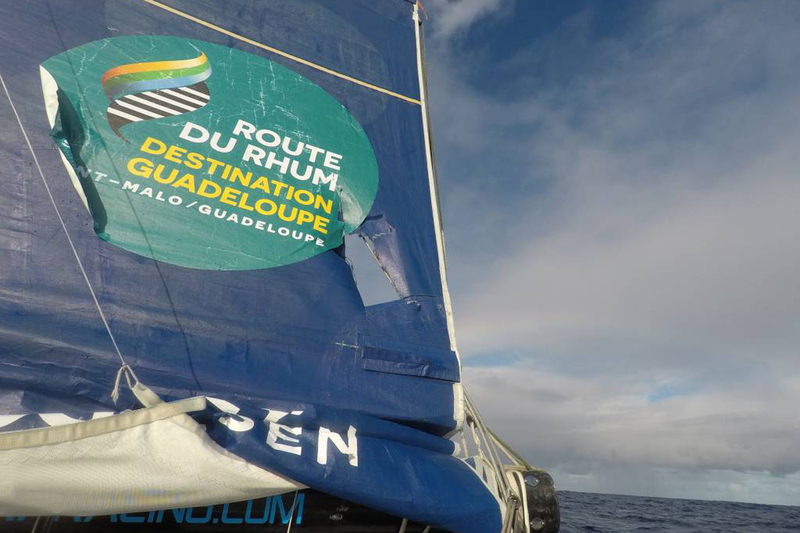 The 40th anniversary of the Route du Rhum is proving to be a testing edition with unrelenting conditions showing no sign of subsiding. Vicious squalls still haunt the fleet at night, some peaking 40-50 kts making it virtually impossible for the lone skippers to sleep. 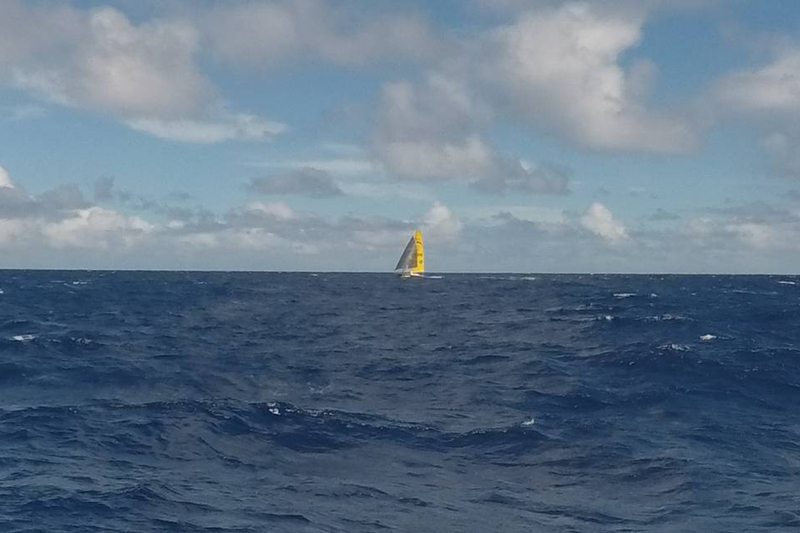 To date the race has resulted in 31 official race retirements including two capsizes and several dismasts. 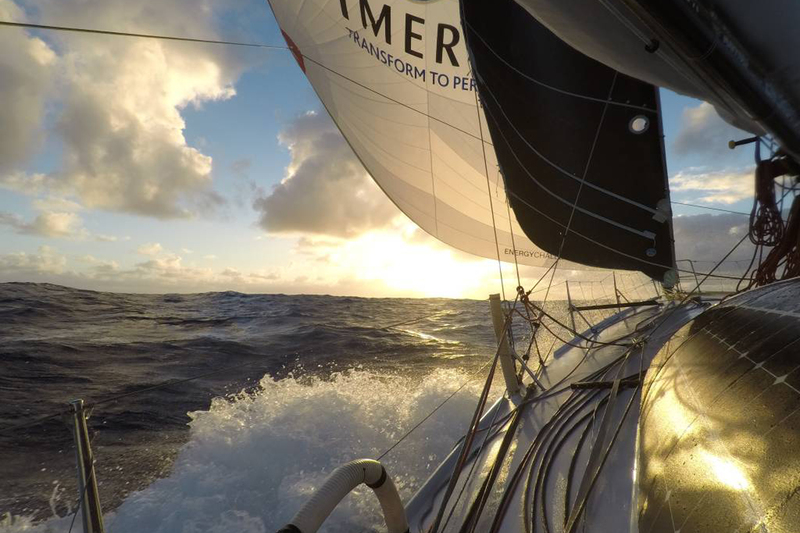 In the Class40 category there have been 11 official retirements and countless pit-stops to land, contributing to a significant distance of nearly 2,000 nm between the leader and last place. 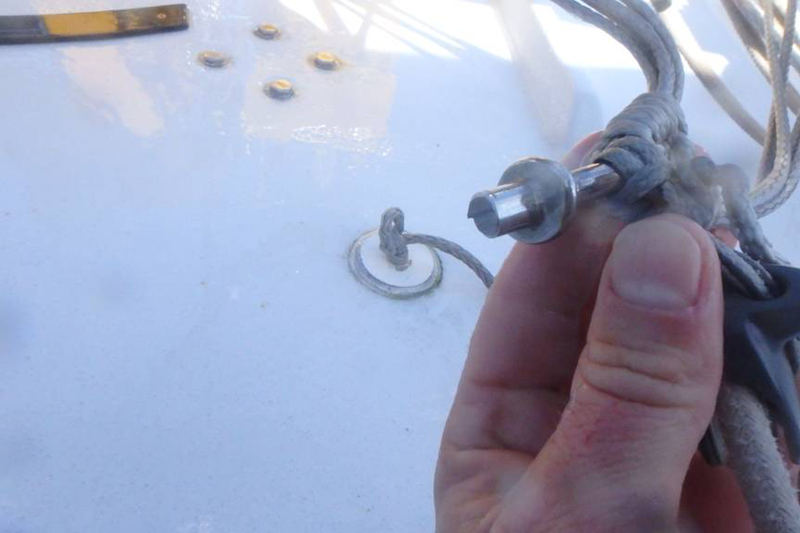 “The conditions are really taking their toll on the boat. Today a hole appeared in the mainsail, fortunately this is currently not too much of a concern, though it does need to be repaired. The trick is trying to make a repair without slowing the boat too much. 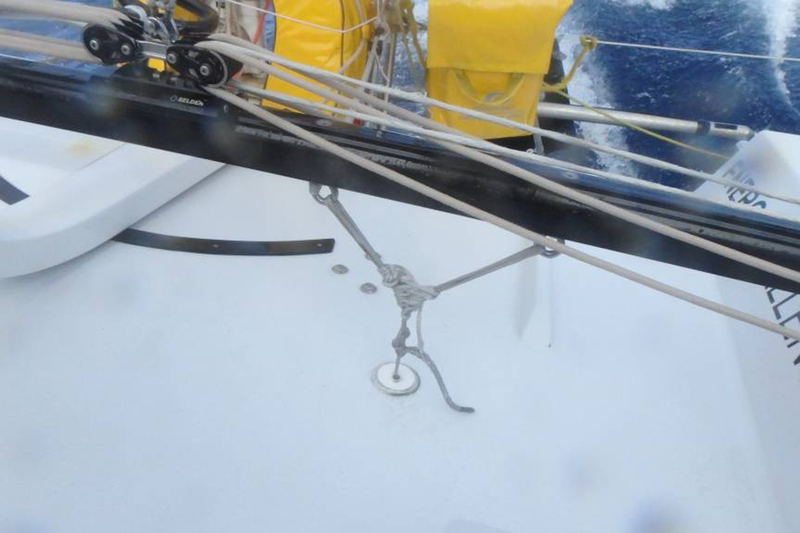 I will have to climb and repair the sail from the boom whilst the boat is surfing at 15 kts – not easy. For now I have reduced the load going through the corner by tensioning the reefing line above. “I have repaired the ballast with the great combination of Sikaflex and duct tape – you can fix anything in the world with those two items… Now the valve doesn’t leak even a drop. “The second half of the race is turning out to be a lot harder than expected. I had the impression that trade wind sailing would be relatively calm and straight forward – sun hat sailing, pilot on, steady conditions. How wrong I was… The place is riddled with squalls and heavy gusts ready to catch you off guard, and the wind strength is right on the transition between big and small spinnaker, in semi-planing conditions, so it is always a tricky choice. However, sometimes when the wind is stronger it is incredible sailing, sitting on a constant plane and accelerating often to 18-20 knts surfing the waves. 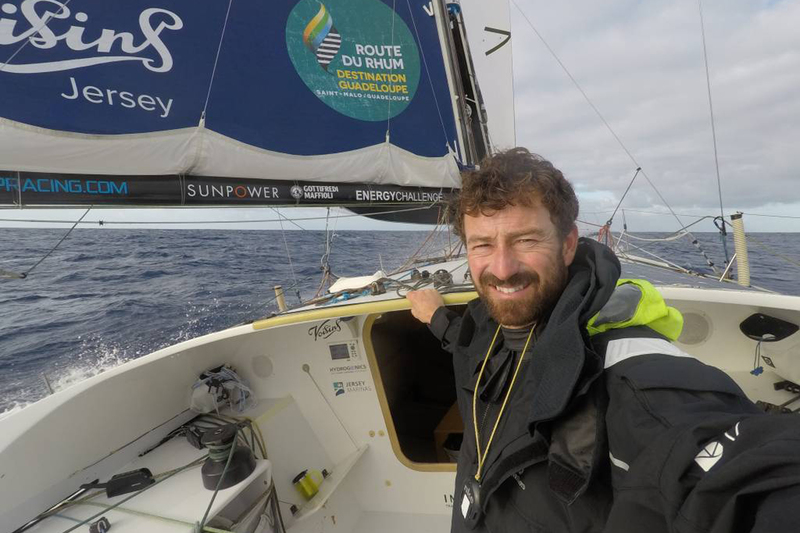 “This end I am exhausted just keeping up with the weather changes but I’ve adapted quite well to life on board and am in good spirits. The temperature has jumped up big time and there are quite a few flying fish launching from the water when I sail past which I honestly still find incredible to watch.